We recently sponsored the Travel Bloggers Unite conference in Manchester and offered a trip to Romania as a prize. 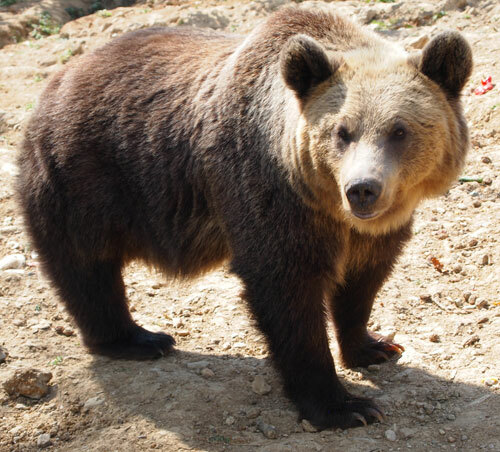 Our winner, Natasha Chow spent a memorable time there as a volunteer at the bear sanctuary near Brasov. Here is a taste of what she got up to. “Volunteering in Romania lets you experience living like a local whilst making a big difference to the lives of brown bears. As a competition winner of Oyster Worldwide’s Romania Bear Program I got to experience everyday life of a volunteer based in the beautiful city of Brasov. What’s it like volunteering at a bear sanctuary? There’s no such thing as a typical day! On my first day my tasks varied from raking, cleaning and bear-watching – bonding quickly with my fellow volunteers. My second day involved making ‘yoghurt mess’ for the bears. It’s an incredibly delicious combination of yoghurt, cream, meat, cheese and cereal! The brown bears love anything sweet and, as they were brought up in captivity, love human food. Be warned – making bear food is not for the weak-stomached. It’s a messy process but having a sense of humour helps you remember – it’s all for the good of the brown bears! Whilst in Brasov, Oyster Worldwide puts you up in a fantastic apartment where you live with the other volunteers. I lived with two gap year students and it soon felt like we’d been living together forever! It has everything you need with a modern kitchen, washing machine and TVs with cable including Romanian channels for learning new words. There’s also super-fast wifi throughout the flat! It’s a great home away from home, with enough space for you to relax after a day working with the bears. Best of all it’s only a short stroll to Old Town, a convenience store is around the corner and there’s even a Transylvanian restaurant a couple of doors down which serves up a great goulash! Once you’re off bear-duty there’s lots of time to explore Brasov and the surrounding area. Tampa Mountain stands at over 900 metres and is only a 2 minute cable car ride or an easy hike, up or down, for a panoramic view of the city. Brasov’s Old Town area is full of cafes, bars and restaurants. After a hard day’s work it’s great to chill out with your new volunteer friends, drink ‘bear beer’ and listen to the bells of the Black Church chime. Next Post My unforgettable time as a volunteer teacher in Nepal!